Up to a 50% reduction in summer water availability is predicted in Oregon within 50 years. It will be critical for the viability of farms in our region and the security of our food system to increase knowledge and awareness of methods of crop production that require little or no irrigation. To initiate this project, a Dry Farming Demonstration was established in Corvallis, Oregon in 2015. This demonstration expanded to three OSU sites in 2016 and more than 10 farms in Western Oregon hosted dry farming trials via the Dry Farming Collaborative. Join us as Amy Garrett, OSU, shares how the OSU Extension Service is partnering with growers to increase knowledge and awareness of dry farming management practices and hear about some of the results from their field trials. Learn how these techniques can be applied in the home garden. Amy is an Assistant Professor (Practice) for the OSU Extension Service Small Farms Program. Drought mitigation tools, and strategies for growing with little or no irrigation have become a focus in her work over the past several years. 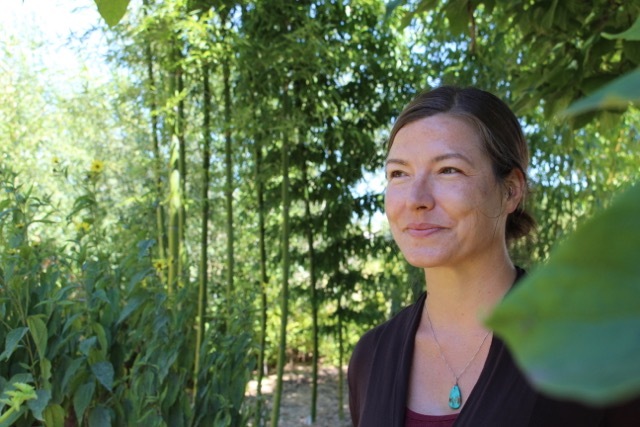 The Dry Farming Project she is leading has expanded since 2013, from case studies with dry farmers and dry farming demonstrations throughout Western Oregon to participatory research with growers throughout the maritime Pacific Northwest and beyond in the Dry Farming Collaborative. For more information visit: http://smallfarms.oregonstate.edu/dry-farm/dry-farming-project.